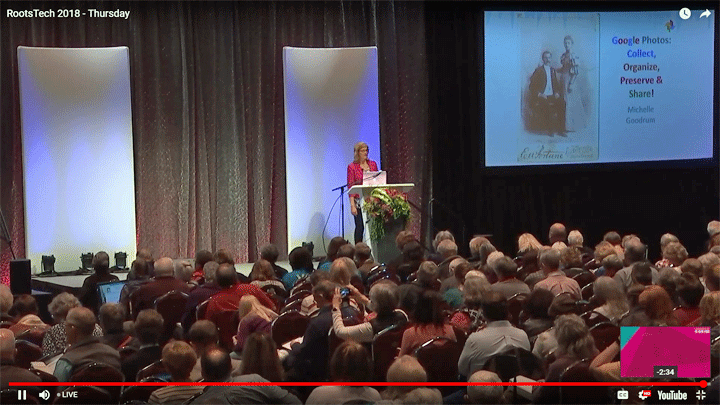 Each year at Rootstech seems better than the last. How they will top this year’s I cannot imagine. ‘My favorite thing’ was the Rogers and Hammerstein musical evening with the Tabernacle Choir, narrated by Oscar’s grandson Andy Hammerstein, which included learning a bit about the history of that remarkable family. 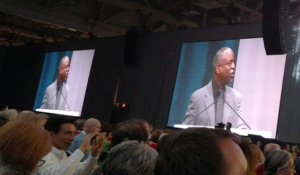 Other high points for me were actor LeVar Burton’s keynote talk (found online by Roberta Estes – click here), DNA expert Cece Moore’s keynote talk, and numerous really great presentations. 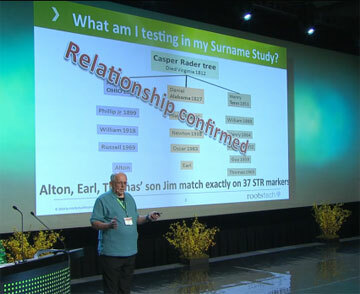 I particularly enjoyed meeting in person many people that I only knew from emails or by reputation like Curtis Rogers of GEDmatch, Dr. Yaniv Erlich of DNA.land, Gilad Japhet of MyHeritage, David Nicholson of Living DNA, and Louis Kessler of Double Match Triangulator (DMT see below). Another thing I really love at Rootstech is learning about the new products for genealogists, particularly those which compete in the innovator showdown. 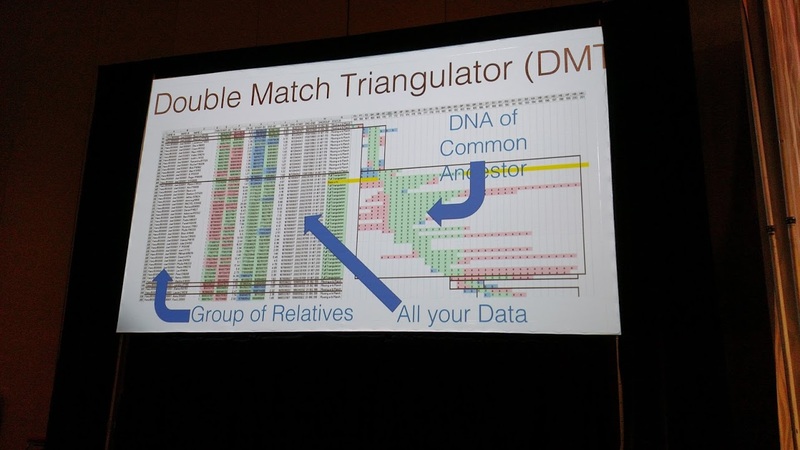 I was really pleased to see a DNA tool make it to 3rd place, the Double Match Triangulator by Louis Kessler. This is a tool that lets you compare two match lists from family Tree DNA, giving you real triangulation. I mentioned it in my talk and will blog about it soon. A semi-finalist product that I found quite interesting, was the Cuzins android app which uses the familysearch world tree to show you how any two celebrities are related. Friends will be added soon. 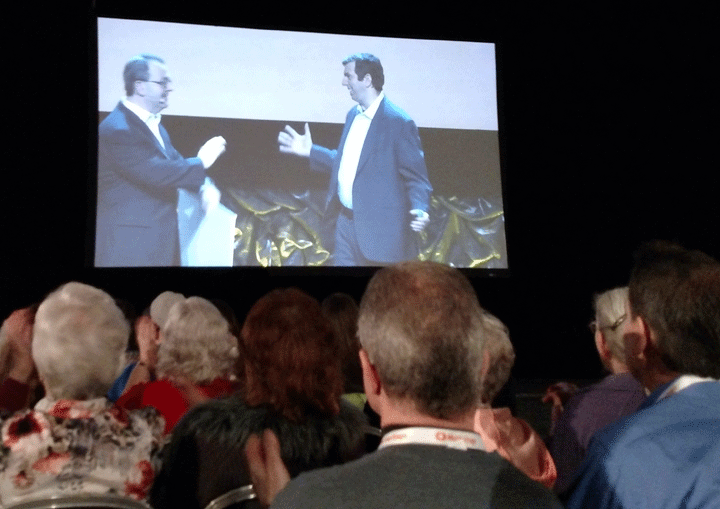 Last year’s Rootstech saw the advent of a great new event, the MyHeritage after party on Friday night, with lots of fun games (no I cannot throw a bean bag well) as well as music, karaoke, prizes, food, and drink. A great tension reliever after a hard day focusing on wonderful talks. I have five free party tickets to give out to my readers for this year’s after party on Friday February 10th. Everyone who completes my survey about my blog (click here) will be entered into a random drawing. You can also answer inline after the read more below. In addition, you can choose to do the questionnaire and not enter as well. Winners will be notified by email very soon. This will be my fourth year at Rootstech and my third year speaking. My topic will again be DNA Triangulation, updated from previous renditions. This is one of my favorite subjects and I love to demonstrate how we used this in my family to confirm a shaky paper trail, as well as ways you can use this technique at the different companies. Another point of excitement for fellow genetic genealogists is that our own wonderful Cece Moore is doing a keynote speech on Saturday. Be sure to watch the Friday keynote, Judy Russell, the legal genealogist is amazing! Family Search has launched a massive indexing of obituaries project that needs citizen helpers. 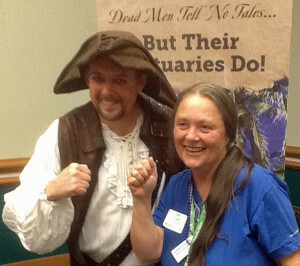 They had a very clever promotion at Rootstech – “Dead men tell no tales but their Obituaries do!” – with a pirate who strode about getting his picture taken with anyone who wanted to do that. That’s me with him in the picture on the left. Then they had prizes at their booth. So the url for working on the indexing project is – https://familysearch.org/indexing/ – this one is fun! Please join in.